1. Featuring solid wood with a medium, hand-rubbed stain finish, and a final smooth lacquer protective coating. 2. Twelve functional drawers with wood stops. 3. Functional cast iron wheels. 4. Versatile console may be used in living rooms, entryways or kid’s rooms. 1. First grade solid wood for great value. 2. 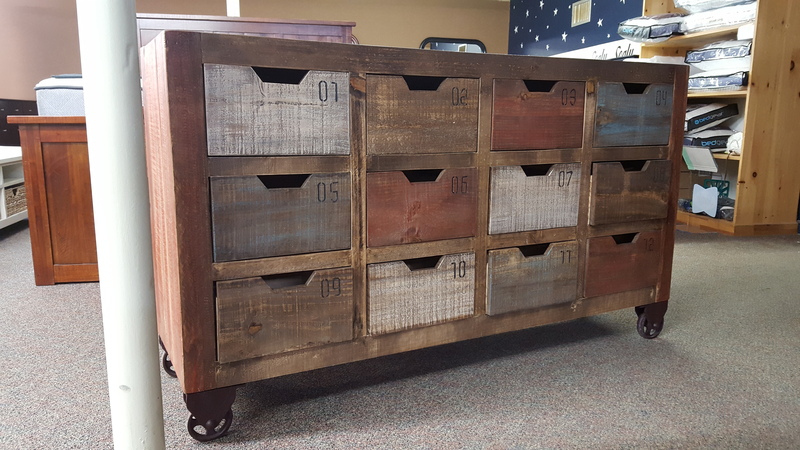 Great storage space with numbered drawers. 3. Adds an industrial-retro look, and mobility to casegoods.